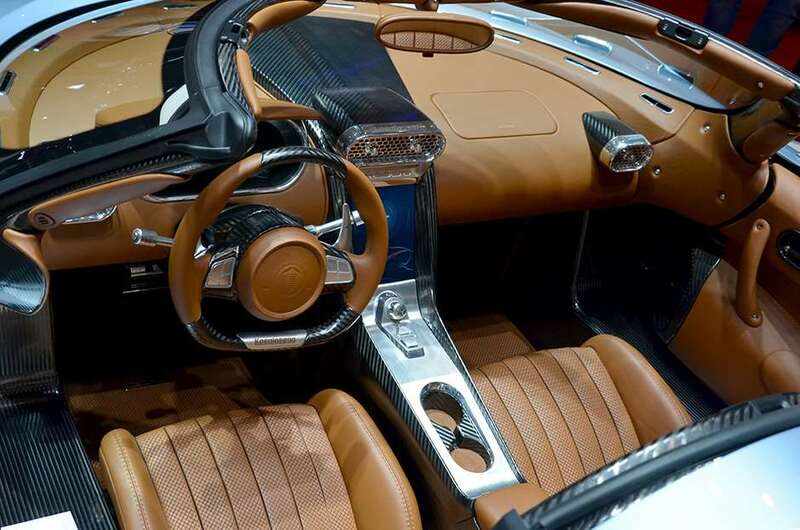 The Koenigsegg stand at Geneva mirrors its approach to car building: Beautifully presented and with some jaw-dropping products, but at floor-level and without the look-at-me factor of some of the others. On the stand we recognise Jens Sverdrup – one of Koenigsegg’s directors and the man who kindly allowed GRR the first drive of the One:1 ahead of the Festival of Speed last year. With each of us holding a refreshing drink we sit down to find out what’s been going on in Ängelholm since we last met. ‘We’ve brought three cars with us to Geneva’ Jens begins. ‘The Agera RS, CC8S and the Regera. We’ve made some dramatic advances in the development of the One:1 and this technology has filtered down to the Agera RS. The menacing black RS is sitting mere feet away from us and with 1144bhp can comfortably claim to out-punch its rivals, although Jens is more keen to speak of its aerodynamic capabilities than its power. ‘The RS generates 450 kilos of downforce at 250kph. But we’re learning more every day.’ Normally, a car like the Agera RS would hold our fascination for hours, but it’s been upstaged… by another Koenigsegg. But before we move on to the show-stopper, there’s time enough to mention the CC8S sat in the middle of the stand. ‘The first car we ever delivered to a customer’ Jens says with some pride. Very nice. But what amazed us (and made us feel a bit old) was when he casually reminded us that the car is 13 years old. ‘We were thinking about telling people that it’s our new design’ he says with typical Swedish humour ‘to see their reaction!’, which makes us wonder – just for a second – if he’s serious or not. We’re still reeling from those figures when Jens quietly adds ‘…oh and it doesn’t have a gearbox.’ Instead of a traditional gearbox, Koenigsegg has developed something called KDD (Koenigsegg Direct Drive) which uses a fluid-coupling (not dissimilar in principle to a torque converter) to overcome inertia and get the car to 30mph, after which there is just the one gear! 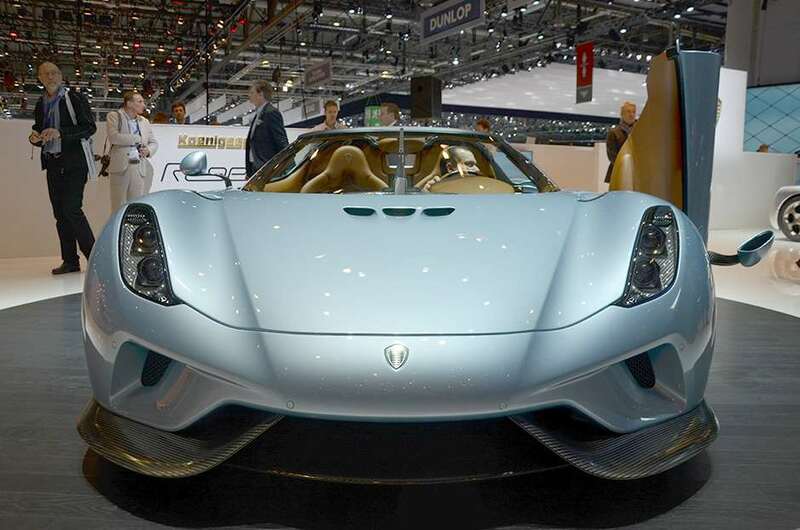 All this, and the clear consensus at Geneva is that the Regera is beautiful. 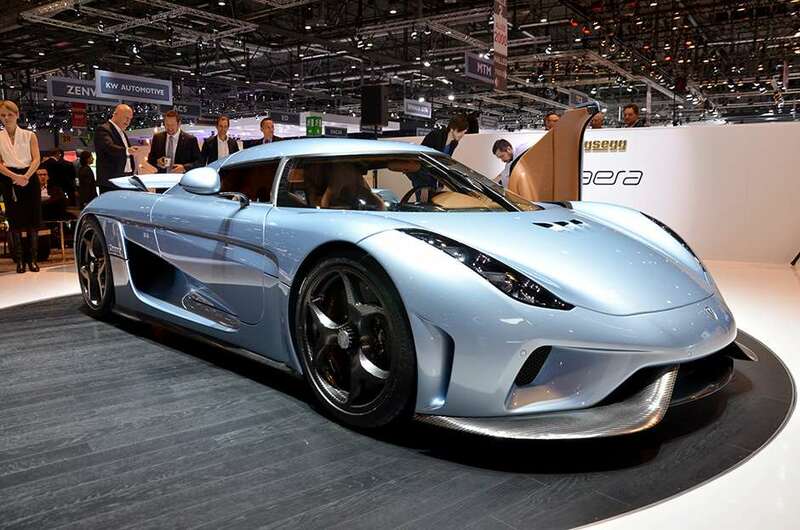 Where the One:1 and Agera RS are all about vanes, fins and other appendages to achieve maximum aerodynamic effect, the Regera is more of a sculpture… but one that still retains the Koenigsegg look we’ve become familiar with. ‘It’s back-to-basics in terms of looks’ Jens says, gesturing to the clean, crisp CC8S. Jens says that the car should be coming to the Festival of Speed in June. What we wouldn’t give for a quick drive – as we did with the One:1 last year. Before we go though I push Jens as to the possibility of a more modestly-priced car from Koenigsegg. ‘We’re constantly discussing cars other than hypercars and megacars’ he admits. ‘There is the financial risk, the cost of tooling and so on. But we’re always looking forward. Another issue to consider is how the existence of a less-expensive car affect values of our existing cars? At some point you’ll see something’ he assures us with a knowing grin.